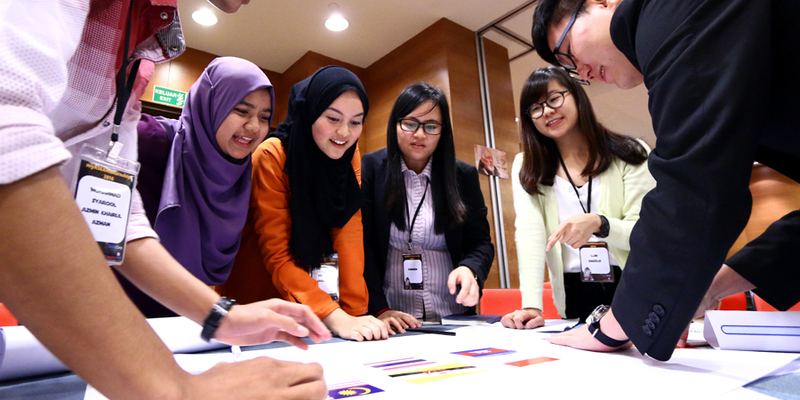 Malaysia needs quality work-ready graduates. That is why we partnered with the Ministry of Education (MOE) to bring employers into universities to hone the technical and soft skills of industry-ready graduates. Through our Industry-Academia Collaboration (IAC), employers and universities work together to address talent policies. This is done through both short-term and long-term strategic interventions to accommodate both employers’ different talent policies and universities’ challenges. We currently collaborate with 21 employers and 13 higher learning institutions in two main sectors, Electrical & Electronics (E&E) and Global Business Services (GBS). Want to be part of our IAC? Contact us. How will students or talent benefit from IAC? IAC offers hands-on opportunities that allow talent to gain more exposure by seeing how real businesses work. Aside from technical skills, they also get to enhance their soft skills, including critical thinking and problem solving. Which universities are involved in IAC? Currently for E&E, they are Universiti Sains Malaysia, Universiti Malaya, Universiti Putra Malaysia, Universiti Teknologi Malaysia, Universiti Malaysia Perlis, Universiti Teknologi MARA (UiTM), Universiti Malaysia Pahang (UMP), Universiti Teknikal Malaysia Melaka, Universiti Kebangsaan Malaysia, and Universiti Tun Hussein Onn Malaysia. For GBS, they are Universiti Kebangsaan Malaysia, University of Nottingham, Universiti Pendidikan Sultan Idris, and Multimedia University. Does IAC focuses on specific priority clusters? For E&E, there are 7 clusters that we focus on. They are Embedded System, IC Design, Wireless Communication (RF), Wafer Fabrication, Opto/LED, Solar, and Advanced Manufacturing. For GBS, the modules are developed to provide basic knowledge about the industry.